ANTI LOCK LIGHT AND BRAKE FLUID LIGHT ON STEADY WITH HARD BRAKE PEDAL? YOU MAY NEED ABS PRESSURE SWITCH. The ABS system used on 1988-1993 SAAB 9000 and 1990-1994 Classic 900 operates at pressures close to 2000 psi. The accumulator stores enough brake fluid, under pressure, to allow about 12 power assisted stops before the electric pump must run to bring the pressure back up. Have someone familiar with automotive electrical diagnostic proceedures do the following checks: quick diag no assist on ABS Mark 2 cars. Find the ABS fuse and relay box, then check the fuses (all 3). Check for power at pump relay large red wire. If no power, find out why. If you have power, jump large red to the large yellow wire. The pump should run, if not check the pump ground. (at the master cylinder assembly. )If the pump runs, disconnect the jumper, pump brake pedal until hard, turn on the ignition key (engine off) and check for 12 V at double blue lead from pump relay, if 12V replace pressure switch, it should have been grounded, assuming a hard brake pedal. If 0 volts try a new relay. Once you get the pump running check accumulator and the rest of the system. 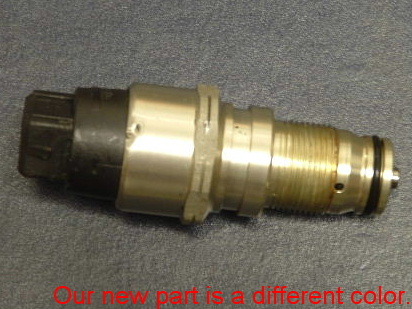 ORIGINAL EQUIPMENT MANUFACTURER, ATE PART. Townsend Imports has super content!